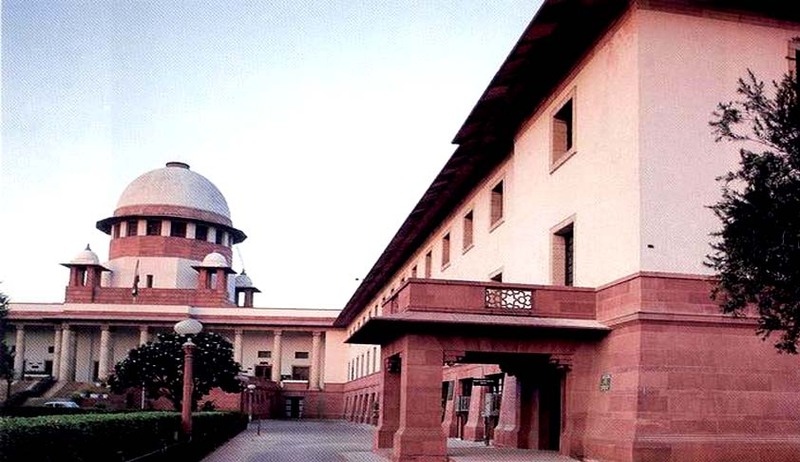 Supreme Court on Wednesday admitted the appeal by DLF against the order of the COMPAT, but directed it to deposit Rs. 630 crore fine slapped on it by the Competition Commission of India (CCI) for alleged unfair business practices. DLF had pleaded that it should be granted at least six months time to deposit the amount. However, the bench directed the amount to be deposited in an interest-bearing fixed deposit with the Court for the duration of the Appeal proceedings. A bench comprising of Justice Ranjana Prakash Desai and Justice N.V. Ramana said that the total amount will be deposited within three months with its Registry pending the outcome of the appeal filed by DLF against May 19 order of Competition Appellate Tribunal's upholding the penalty of Rs 630 crore imposed by the CCI. The court adjourned the hearing by admitting DLF's appeal in which Haryana government, Haryana Urban Development Authority (HUDA) are parties along with the residents' association on whose plea the competition watchdog had imposed the penalty on the company. So far as the interest is concerned, the Bench said that it has to be determined as per the November 9, 2011 order of the CCI that was fixed at 9 per cent. It was later upheld by the Competition Law Appellate Tribunal (COMPAT) in May this year. It also directed DLF to file a fresh undertaking that in the event of dismissal of the appeal it will pay such amount as directed by the court. Also, the 50- crore that DLF has already paid in three weeks, would be at the option of the Registry to invest in any of the nationalised banks. The CCI in 2011 had found DLF violating fair trade norms and imposed a fine of Rs 630 crore on it following a complaint by Belaire Owners' Association in Gurgaon. CCI said the construction of additional floors without intimating the buyers was abusive of its dominant position and needed to be curbed. The order adds to the pressure on debt-laden DLF, which has been battling a slowdown in the real estate market in the face of an economic downturn. As of June, DLF had debt of around Rs.18, 500 crore.